Are you looking for a government job? Here is the next opportunity that the government has given you another opportunity to get into it. It is now the high time to look for it since the government has announced and notification is yet to be reassessed on the third week of April for the post of Multi Tasking Staffs (MTS) and Non-Technical. As the report, it is expected that the vacancies can exceed 10,000 and it covers various posts like MTS Non-Technical like a Peon, Safaiwala, Jamadar, Junior Gestetner Operator, Chowkidar, etc. The candidates can apply if they have passed in the 10th standards and lies in the age limit of 18 to 25 years. The selection includes paper 1 paper 2 and paper 3. In Paper 1 the candidates need to attend for the online test and answer objective type of questions. On clearing them the candidate has to appear for paper 2 and it is based on the descriptive questions. When the aspirants clear them they will need to go for the final round skill test and documents verification process. 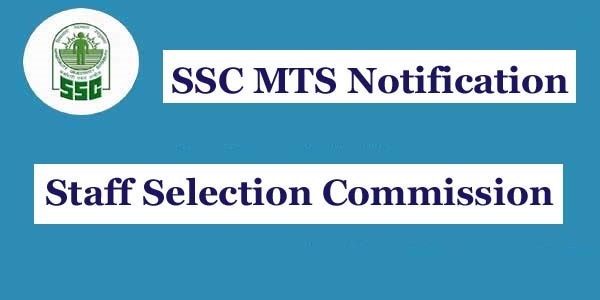 When you need to apply for the SSC Multi Tasking Staff Recruitment 2019, you should have passed 10th standard. A person forms Indian origin but may be migrated to Pakistan, Burma, Afghanistan, Kenya, Tanzania, Sri Lanka, Uganda, Malawi, Zaire, Ethiopia, and Vietnam. Step 7: Pay the fee (if required) and download the final copy for future use.